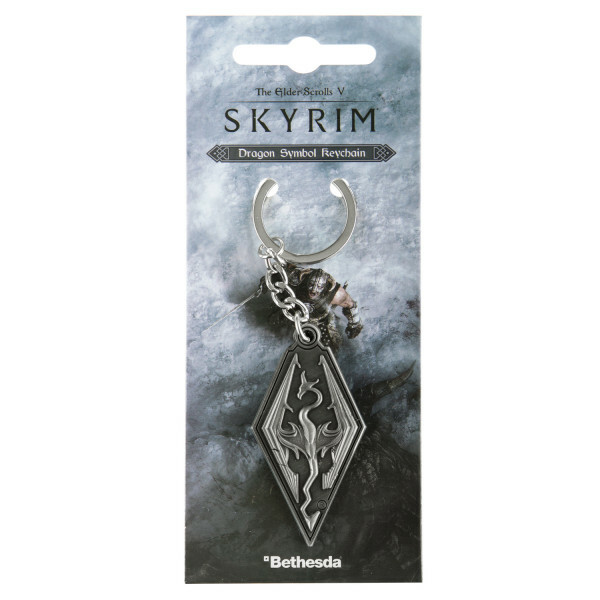 A metal keychain with raised and embedded details in brushed metal finish showing the famous Dragon Symbol out of TES V: Skyrim. 4cm in size plus 6cm chain & ring. Packed on blister card. 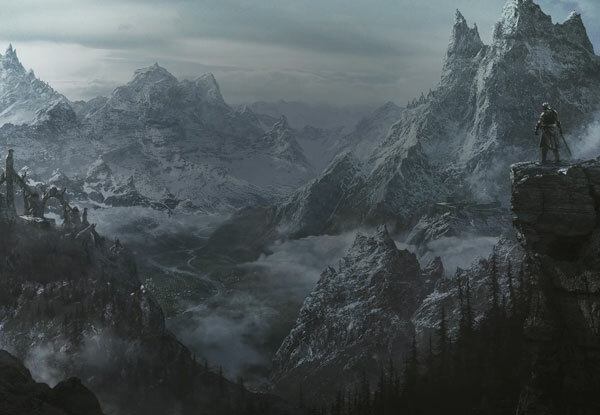 The Action Role-Playing Game The Elder Scrolls V: Skyrim continues the open-world tradition of his predecessors. The Main Story Line of Skyrim revolves around the efforts to stop Alduin, the ancient Dragon-God of Destruction. The fate of planet Nirn lies in the hand of the player's character, who is a Dovahkiin with the body of a mortal and the soul of a dragon. The Elder Scrolls V: Skyrim was both a commercial and a critical success! It shipped over 7 million copies to retailers within the first week of release. Dovahkiin kos fin saviik do muz!"